This December, if you want to have some fun, check out the East Van Panto: Cinderella playing at The York Theatre, 639 Commercial Drive, starting December 3rd, 2014. This production is brought to you by the creative minds at Theatre Replacement. If you missed last year’s performance of Jack & The Beanstalk, you missed a whole lot of fun! 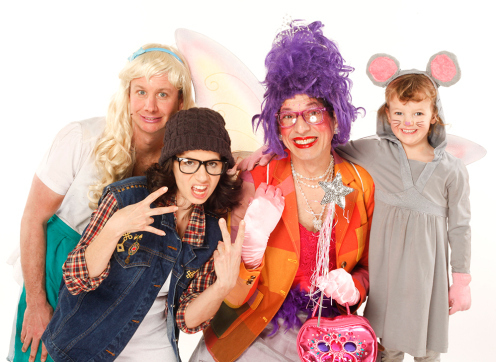 We recommend that you don’t miss this year’s East Van Panto: Cinderella. What is a Panto you might ask? The definition of Panto (another name for Pantomime) is a tradition of holiday musical comedy theatre. Pantomime takes familiar fairy tale,s in this case Cinderella, and injects music, contemporary references and (best of all) audience participation to create raucous, noisy entertainment that’s fun for everyone in the family. And yes, there will be many East Van references that you will be able to identify with in the show that is sure to make everyone laugh. The East Van Panto is open to all ages 5 and up. Tickets start at $19, family packs are available which include 4 tickets for $100. Tickets are available at The Cultch either in person, by phone or online. The show begins December 3rd 7:00 pm and continues till December 28th. For those looking for a matinee, there are many 2:00 pm shows starting December 6th. For more information on tickets and performances, visit The Cultch. We’ll be seeing you there!